Lively3D is three dimensional windowing environment implemented in WebGL with help of GLGE-library. 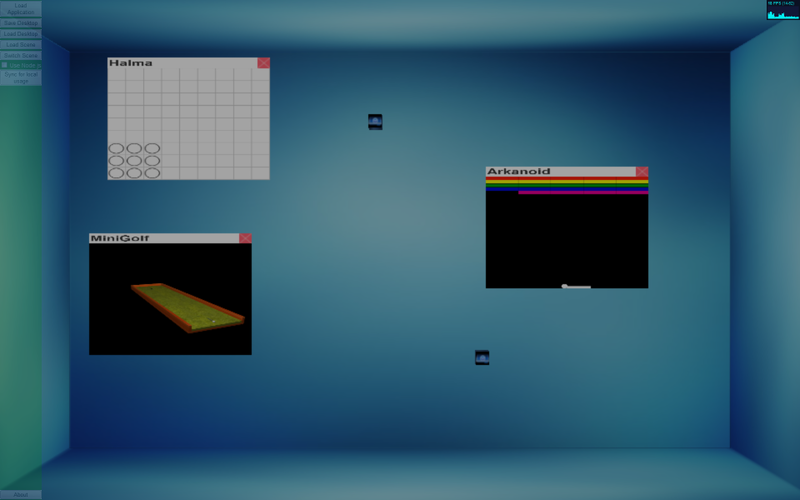 It features embedding of canvas-applications, customizing 3D-scenes and persistence of desktop state. Lively3D provides API for third party developers, who can develop additional canvas-applications and 3D-scenes which are embedded with implementation of interface functions. These functions are designed in such way that the implementation requires minimal knowledge of the environment itself. 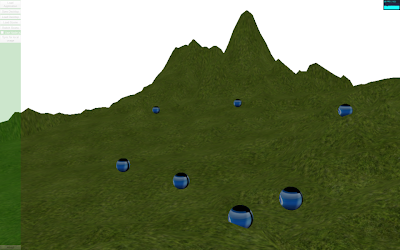 Applications and scenes are deployed in shared Dropbox-folder, so that developers can collaborate and deploy their code without constantly updating files on the server hosting Lively3D. Most of the applications were developed by summer coders and are described in previous blog posts. Two additional scenes are available for initializing in the user interface.